Do you ever have one of those weeks where you just seem to keep seeing things repeating wherever you go? 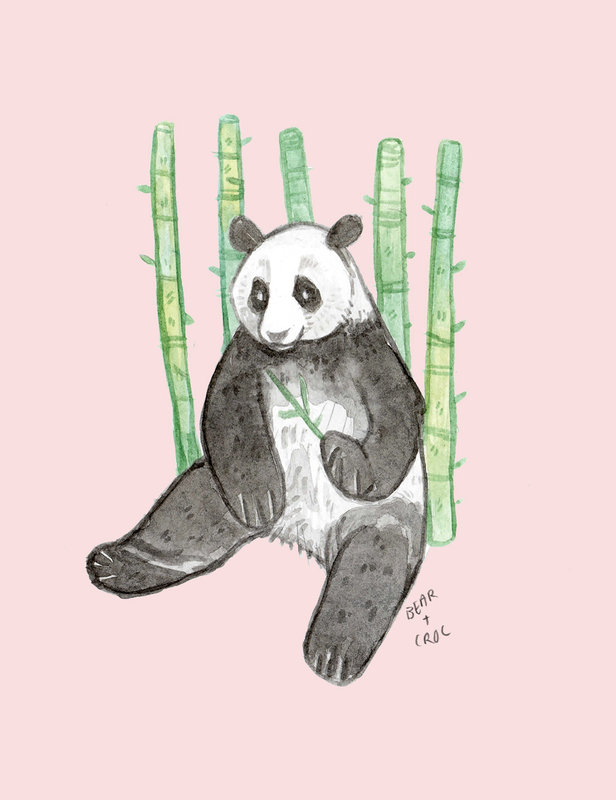 For me, it's been Pandas popping up this week! I had three friends on Facebook share that article about how Pandas are no longer classified as critically endangered for one, secondly Sam and I have been looking into travelling to Edinburgh and you can't google Edinburgh tourism without hearing about the Pandas living at the zoo, and thirdly I just caught up on a Zoella vlog where-- you guessed it, she spots a real life Panda. As they say on Teen Wolf... Once is an incident, two is a coincidence, and three is a pattern. That's enough of an excuse for me, and so Panda it is! I like to think that this is a nice mummy panda, because funnily enough it was Sam's brother's wedding anniversary last week and his sister-in-law Amanda, serendipitously, is also known as Panda. So this week is a mummy panda. Hope that's ok with all of you!